Ever wake up and feel like riding a snowmobile off a ski jump? This guy did, a professional snowmobile rider named Daniel Bodin. Looks like much of the video was filmed with a helmet camera.. Gopro? Perhaps.. anyway this video is short and sweet, but gets you pumped if you’re an adrenalin junkie. Sony has three Action Cams in its lineup, ranging from the simple low priced camera, to feature-packed high price tag. Today I’ll be reviewing Sony’s latest and ‘top of the line’ action camera model that has all the bells and whistles, the Sony HDR-AS30V. Some are calling it better than the GoPro 3+ black edition… and with the lower price tag, it’s a very tempting option. Let’s take a look at some specifics in this Sony Action Cam review and see how it holds up against it’s older models and the competitors such as Gopro, Contour and Drift. 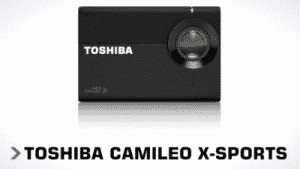 Toshiba is now getting into the action camera market. The Toshiba Camileo x- sports helmet camera packs all goods to make it a competitive camera in the high-competition field. It looks like a black Gopro and has similar features and specs so just what is different about it and how is it any different to the others in the action camera marketplace? This review will point out the pros, cons and full details about this slick new helmet camera from Toshiba. 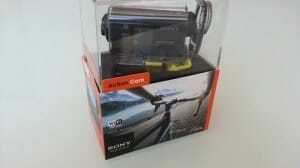 2014 started out with an amazing range of action cameras. They’ve become a must-have accessory for extreme sport enthusiasts who love to record themselves and friends in the action. What are the best action cameras of 2014 to purchase this year? Find out the top 4 and what they have to offer in this showcase. The GoPro Hero 3+ Black Edition is the sequel to GoPro Hero 3 and which was a market leader on its own. It appears too soon for an upgrade, given its name, which suggests that it is just a tweak rather than a new version. That aside, it still has lots of improvements over its predecessor (Hero 3) that make it look like a new version. The following is a complete review of the GoPro HERO3+ Black Edition. The Replay XD1080 Camera is the world’s most compact and lightweight full HD video camera available to buy and is the perfect product for taking action shots in extreme conditions. The camera is super resilient to all weather conditions and can endure any rough treatment you give it. Combine that with the high quality audio and video and you have a very competitive action camera. The following is my review of the small Replay XD 1080 helmet camera. Drift Innovation’s latest camera, the Ghost-S, improves on the performance of the Drift HD Ghost action camera, the company’s previous model. Find the best prices and availability near you using the link below. If you’re wondering if the LEGO powered car you’ve seen videos of on Youtube and Facebook really does drive, then yes it does drive and the engine is made of Lego and runs on air. Air? WTF? How does a plastic engine made of lego run on air and push a full-size car? you ask? I’m no engineer but I know if you get enough small engine ‘air-pumps’ together and get the gearing right, they can create enough force to turn some wheels. It is the brainchild of Melbourne entrepreneur and marketing guy Steve Sammartino and Raul Oaida, a 20-year-old self-taught technology genius from Romania who Steve met on the internet. To learn more about this vehicle and the Australian guys behind it, go to Awesome Micro Project. What do you reckon about this project? Waste of time and money? Or is it the coolest Lego toy to come out of Romania?